"Preserving Diseworth's past for future generations"
The Main hall houses a small museum of artefacts, documents, pictures and memorabilia. Exhibitions take place throughout the year reflecting life in Diseworth and Long Whatton. The building is suitable for all with disabled access throughout. 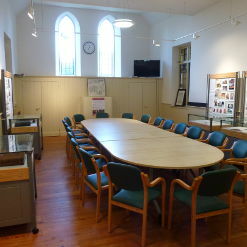 The main meeting area houses enough space for large board meetings or conferences of 20 people or seating can be arranged in a theatre style for up to 48 people. There is also a large TV and projection screen which can be used with a laptop. The IT Area provides a facility for both research and training, with broadband access at 7 Computers and 2 Laptops. We also have WiFi access throughout the building for guests and users of the facilities. There's a meeting room adjacent to the kitchen which may be used in conjunction with the main hall or for more informal gatherings. There is a kitchen for use with microwave, kettle, fridge and dishwasher. Catering can be arranged if required. We also provide a couple of toilets located just off the reception. 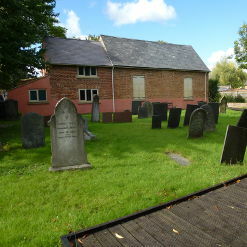 Outside the building is the Sanctuary Garden and churchyard, a place for rest and reflection. Bordered on one side by the Diseworth brook, with seating on benches, this is an ideal place for outdoor relaxation. "... easily accessible, friendly supportive people, great facilities." "Excellent venue, we've done some great work here! Thank you!" "What a wonderful place, people & location, both perfect - inspirational!" 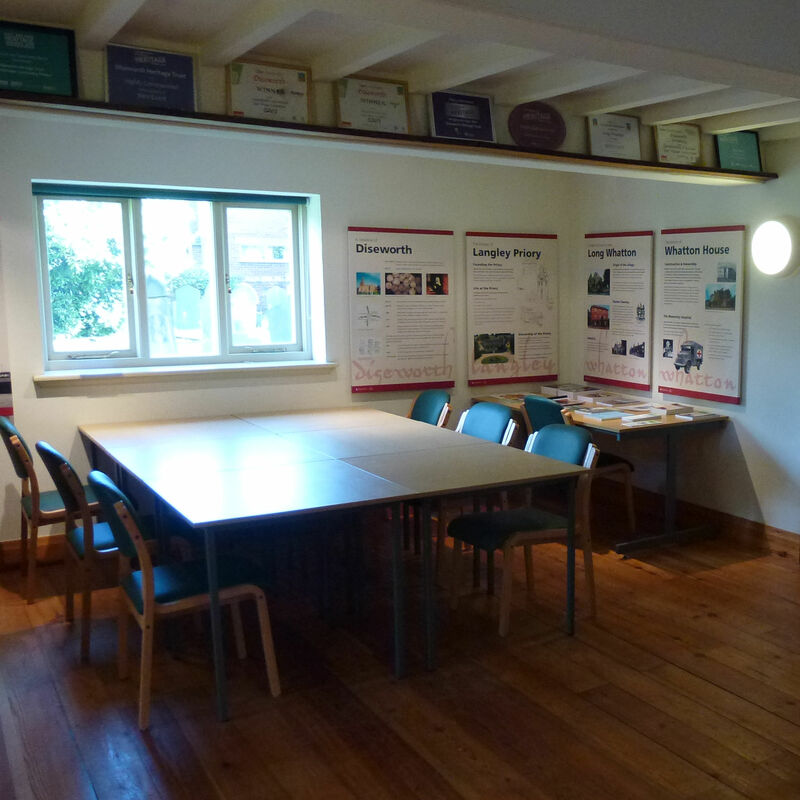 The facilities of the Centre are available for public or private functions, business meetings, seminars etc. To meet different needs, limited areas of the building may be hired separately or the whole building may be reserved for sole use. See the chart below for details of hire rates, and view the facilities page to see options. Please contact to see how the Centre can meet requirements.